It was just over a decade ago that the first successful electric vehicles entered the mainstream market and challenged manufacturers to rethink the status quo. Although the age of electric vehicles has only just begun, advancements in technology are making hybrid and fully-electric vehicles highly capable and increasingly more affordable. Now, with the recent exciting progress in battery technology, the era of electric flight is on the horizon, too. The idea of electric-powered flight is nothing new in the ever-evolving aviation world. As early as the late 1800s, aviation innovators were experimenting with alternative power sources. French military engineers Charles Renard and Arthur Constantin Krebs used batteries and an electric motor to power La France, a steerable, hydrogen-filled dirigible. By the 1970s, aviation pioneers were building electric and solar-powered model airplanes and unmanned aerial vehicles for short-range flights. But it’s only recently that we’ve seen a resurgence in the promising research and development of zero-emission, all-electric passenger aircraft. Eviation Aircraft, an Israeli startup, is one of the manufacturers leading the charge for all-electric flight. Currently, Eviation is developing its debut aircraft, the all-electric, zero-emission Alice. 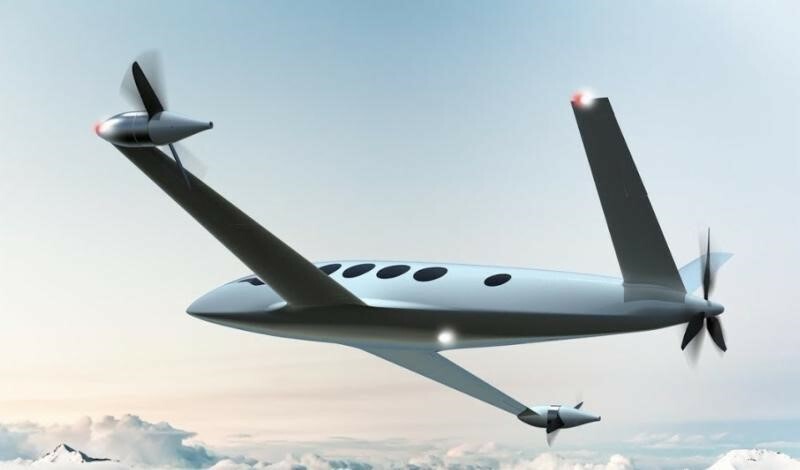 The commuter aircraft will be built using lightweight composite materials and is designed to carry nine passengers up to 650 miles at a cruise speed of 240 knots. With development support from Hartzell Propeller, the Alice will be equipped with an innovative system of customized propellers designed to meet the unique needs of the first-in-kind aircraft. Eviation plans to test fly the Alice at the 53rd Paris Air Show in 2019. Much like electric-powered vehicles, electric aviation will bring a number of benefits to individuals and the environment. It’s estimated that air transport accounts for about 4 percent of global carbon emissions. The shift to electric-powered flight will significantly reduce harmful emissions. Electric aviation also aims to reduce global fossil fuel consumption. When considering the rising prices of aviation fuel, electric aviation is a step toward making flying more affordable for owners and operators. While electric aircraft won’t be completely replacing conventional propulsion technology anytime soon, we’re closer than ever to seeing the next generation of electric planes take to the skies.